The Red Dead Redemption II PS4 Pro bundle was announced the other day, giving people an opportunity to do what they do best and scrutinize the box for details. 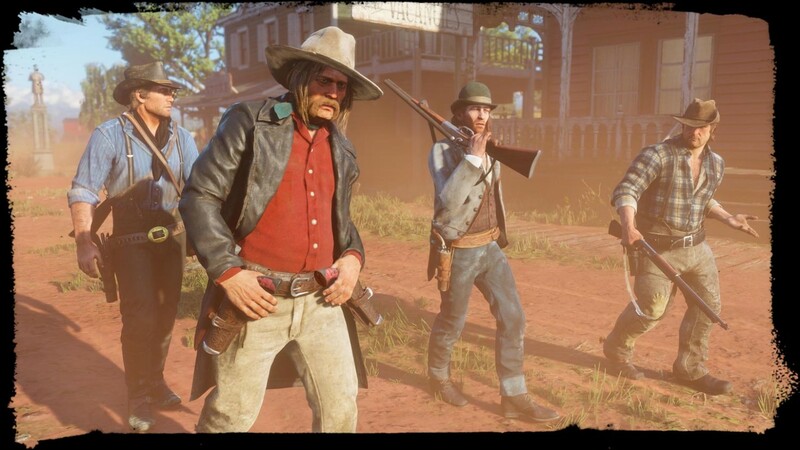 RockstarIntel was able to do exactly that and mined out details from the console box to figure out what to expect from Rockstar's upcoming western. The bundle says that Red Dead Redemption II requires a minimum install size of 105 GB. This puts it ahead of the previous PlayStation 4 record holder, Call of Duty: Black Ops 3, which stood at 101 GB. Rockstar's last PS4 game, Grand Theft Auto 5, came in at 65 GB. While PlayStation 4-exclusive content had already been announced, the console box clarifies that "online content" will stay exclusive to the PS4 for 30 days before going to Xbox One. It is unknown if this is the only content for PlayStation 4 or if there is completely exclusive content and timed exclusive content. Small print on the box also indicates that Red Dead Redemption II's online will be for 2-32 players, lining up with what Rockstar has said about Red Dead Online and speculation it will be similar to Grand Theft Auto's online playground.